What is the Role of an Upper School Counselor? The upper school counselors are important members of the teaching staff. The counselors help support students, teachers, and parents as they navigate the roller coaster years of adolescence. The counselors work with the other faculty members to put systems and programs in place to support students and their families. The upper school counselors work to improve student academic, career, and personal/social development. There are many ways this is done. However, here are just a few examples of how ISD upper school students get support. The counselors communicate closely with all upper school teachers regarding student progress. When appropriate, the counselor creates support plans for students to encourage academic success and recognizes students when they make improvements. The counselors coordinate the advisory programs, which focus on building strong social-emotional skills that lead to comfortable self-management, responsible-decision making, and healthy relationships. In addition, the middle school counselor arranges an advisory unit on career choice and a career day experience where students can learn about career options from professionals while the high school counselor focuses on college and career readiness through college week, career week, advisory, and one on one student meetings. Next, the counselors are responsible for coordinating and supporting student transitions. ISD students experience quite a few of those during their years in middle and high school. In the spring, Upper School Counselors hold parent transition meetings for each grade level which highlight the academic, social, and emotional changes students will experience in the upcoming year. In addition there is a strong orientation program welcoming sixth grade students into the middle school. Also, nearly one third of ISD’s student body move in or transition out of the school. The upper school counselors support each student who is affected by these moves with individual or group meetings. Another important role of the upper school counselors is to emotionally support the individual student and/ or family who is experiencing emotional distress. Individual and group meeting are arranged on an as needed basis in consultation with students and their families. When longer term support is needed, the counselor will help identify a community resource available for the student and family. Finally, throughout the year, the counselors will hold parent workshops and information sessions on a variety of subjects ranging from the teenage brain to preparing for IB. If there is a topic you would like to learn more about, please contact Eileen Knobloch at EileenK@faculty.isd.sn or Kayla Bishop at KaylaB@faculty.isd.sn. 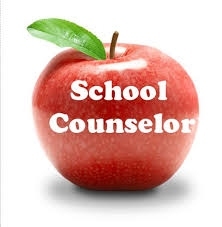 If you are interested in learning more about the role of a middle school counselor, please explore this link. If you are interested in learning more about the role of the high school counselor, please explore this link.